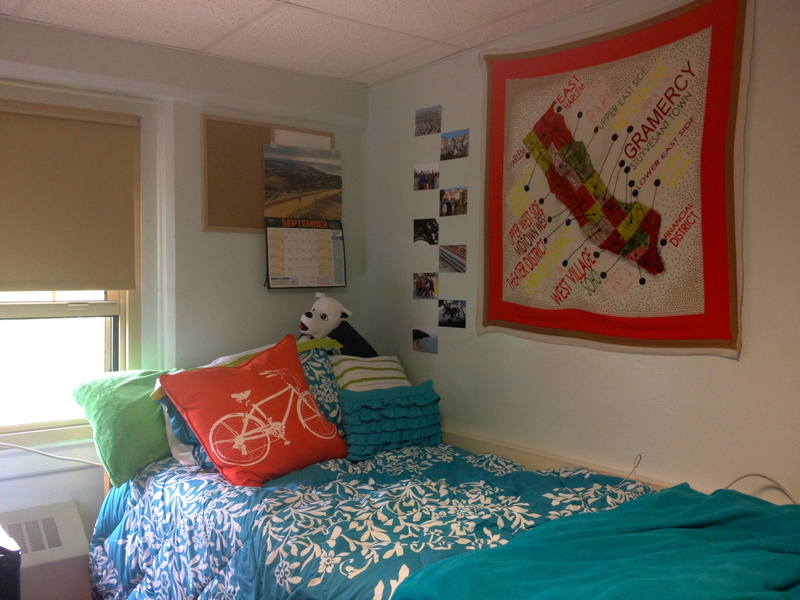 YoungTri Member Ariana, a freshman at UConn, sent us these awesome pictures from her dorm! 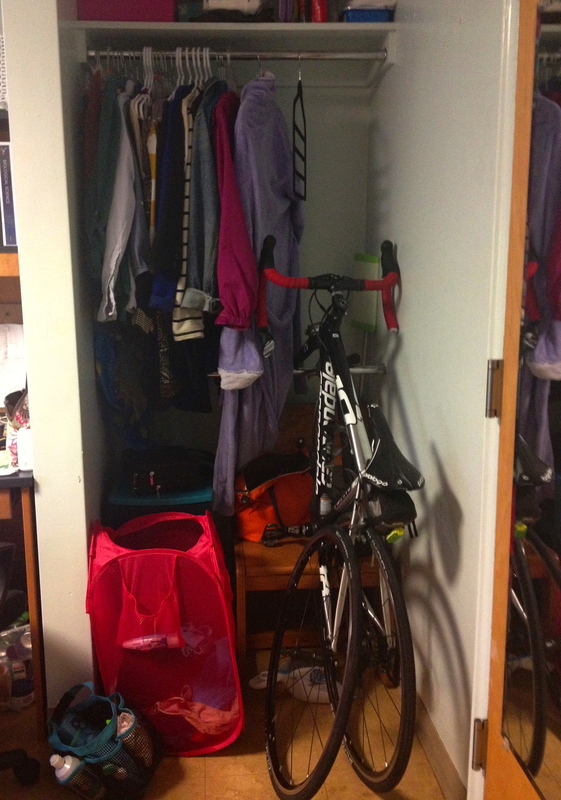 Ariana put her road bike in her closet and propped the front on the bottom bar and took off the front wheel! A Runner’s World calendar as well as a bike throw pillow. Nuun electrolyte tabs, oatmeal, peanut butter, crackers, a bag of cereal, and clif bars. Love her room! Want to submit yours? Email info@youngtri.com with the subject line “DormTri”.